This category contains posts related to information for new released features for all Kipware® software titles. Kentech Inc. is pleased to announce the release of (2) new features for KipwareM® – Conversational CNC Programming Software for Milling and KipwareT® – Conversational CNC Programming Software for Turning. We have expanded the DXF hole location import options for both ID HELICAL MILLING and ROUND POCKET conversational menus. 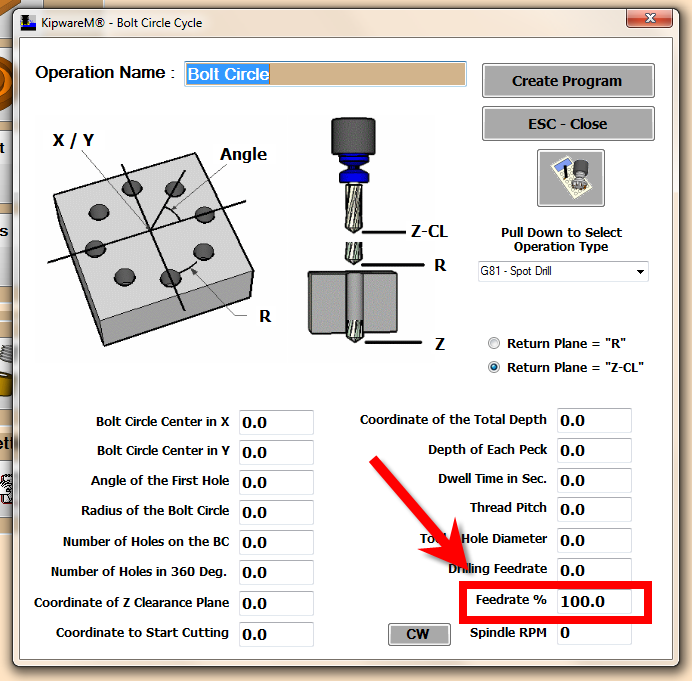 This new feature allows user to auto-import hole locations using a DXF file. If the user has to machine round pockets or perform ID helical milling operations at multiple hole locations … they can now import those locations through a DXF file. Options have already existed to auto-create a BOLT CIRCLE, GRID PATTERN or HOLES-ON-A-LINE pattern … but now locations can easily be imported using the READ DXF LOCATIONS option. Using this feature … KipwareM® will scan a DXF file for any and all POINT elements in the DXF and import those X and Y locations into the form. When the G code program is created … KipwareM® will auto program all locations for either the HELICAL MILLING or ROUND POCKET machining operations as described in the conversational form. The number of hole locations is UNLIMITED making this feature a huge time saving when performing complex hole operations at multiple locations. KipwareT® contains the easiest and most powerful conversational programming option for multi-diameter turning on the market in our SIMPLE TURNING and SIMPLE BORING menus. Our menu allows the user to describe an UNLIMITED number of OD or ID diameters to rough / finish turn … all with an unlimited and all user defined chamfer and / or radii options at all corners. Making this option even more user-friendly and easy to program is the new VIEW SHAPE option. User can use this feature to quickly and easily visualize the finished contour as it is developed through the conversational menu. At any time while describing the shape … the VIEW SHAPE feature can be employed to visually see the shape described. Changes or alterations can then easily be made directly in the conversational form and re-checked using the VIEW SHAPE option. All new features are currently shipping standard as of this writing. Kentech Inc. is pleased to announce the release of Version 16.0.0 of our KipwareQTE® – Machine Shop Job Costing and Estimating Software. With Version 16 we have moved beyond just quoting and estimating and have included optional modules that integrate with KipwareQTE® to provide cost review and analysis as well as real time material resource tracking and planning. KipwareCRM® was developed to allow users to see clearly estimated costs vs. actual costs between what was estimated and was was actually utilized in production. This module will give users a clear view of profit and loss for each of the major areas of quoting with KipwareQTE® – material, tooling, labor and non-machining costs. Users can load a previously created KipwareQTE® estimate and either load a report that can be generated either on the shop floor or use manual inputs to create an ITEMIZED or GENERAL analysis for each area. Through these features actual costs incurred during production can be entered … and KipwareCRM® will create a cost analysis to reflect profit or loss for each area. The screenshot above illustrates a sample cost analysis showing profitable areas in blue and non-profitable areas in red. The costs analysis is a complete itemized breakdown to keep your quoting and estimating on track. KipwareMRP® was developed to integrate with KipwareCRM® and to allow for real time material resource tracking and planning. 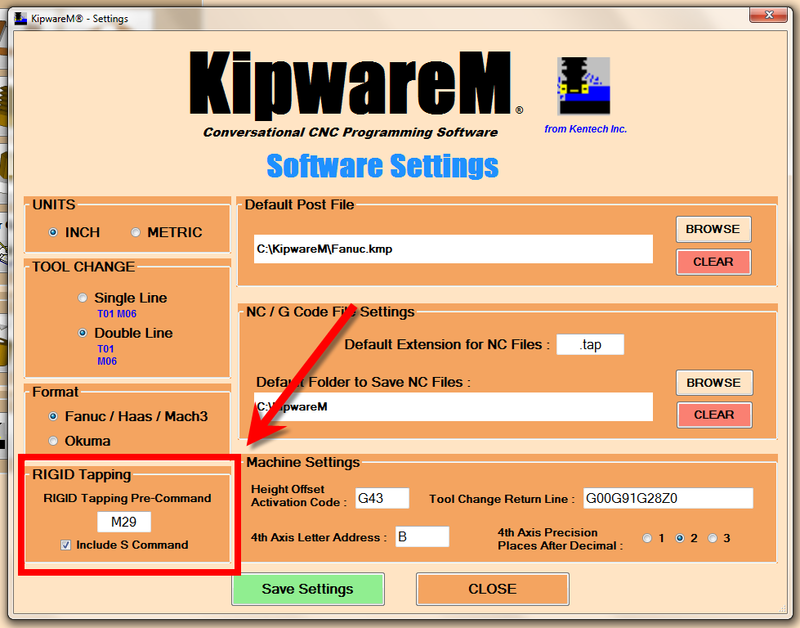 The KipwareMRP® module can be installed on an unlimited number of computers on the shop floor to allow shop floor personnel to input resources used in production in real time. Items like number of inserts used, number of bars used, number of end mills used, time spent deburring, or packing can be logged into the report from KipwareMRP®. That report can then be loaded into KipwareCRM® and used to auto-generate a cost report / analysis against the original KipwareQTE® estimate to view profit and loss. As illustrated in the above screenshot, KipwareMRP® allows for tracking of material … perishable tooling … labor … and all non-machining hours that are applicable. As with ALL our software … KipwareCRM® and KipwareMRP® bring cost analysis and resource planning and tracking to the Real World. Without the clutter, the big bucks or the unnecessary complexity … any size manufacturer can realize realistic and profitable quoting … estimating … and production with Kipware®.